We are gearing up to host Nancy Koltes for a trunk show at The Linen Tree, it’s now only a few days away! There will be hor d’ouerves, champagne, and of course luxury linens – but we hope that our customers will cherish the opportunity to simply meet Nancy, herself, in a relaxed environment. She is not only an influential designer, but also an accomplished entrepreneur, and was one of the first American individuals to gain prominence within the fine linens industry. As mentioned (scroll below), Nancy has graciously offered to give away a set of Eleanor’s Ribbon. As such, we will be holding a raffle. Tickets will be sold for $5 a piece, and all proceeds will benefit the American Cancer Society. 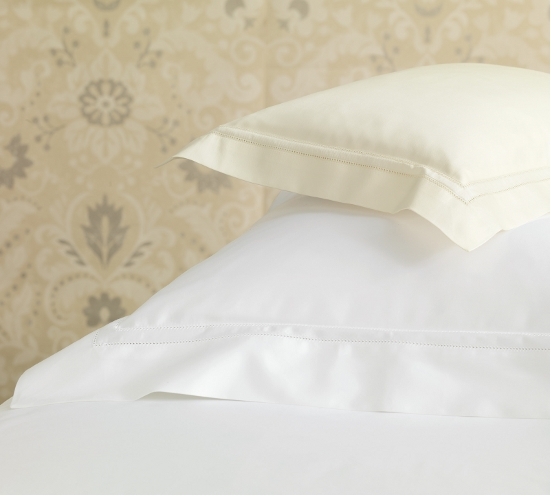 This is a great way to support a great cause, and who knows – you might walk away with some new, luxurious, sheets! 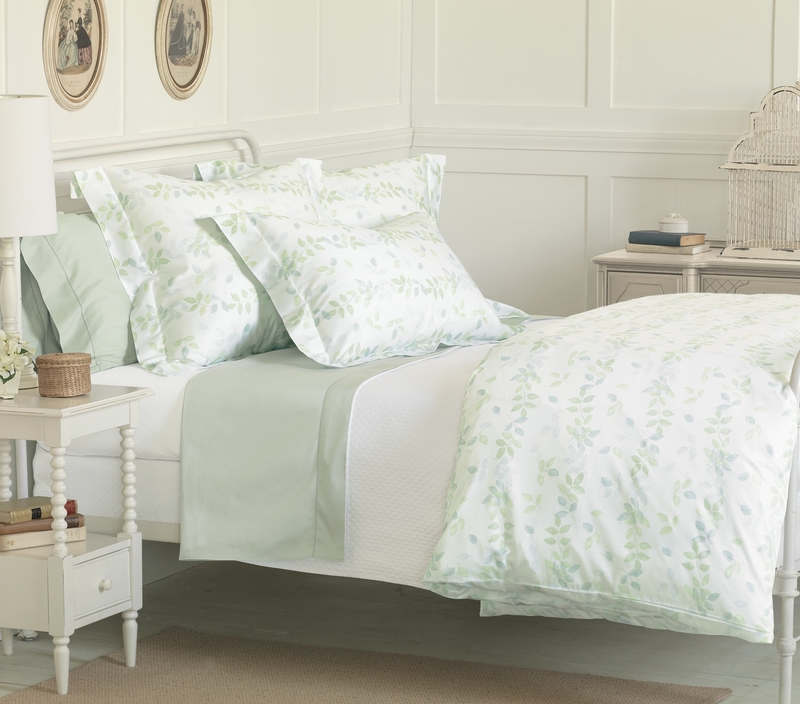 Inspired by water color techniques, Giverny is an old design reinterpreted into luxury bedding. It is based on a painting by French artist Philippe David, a friend of Nancy’s. This collection features 100% Egyptian combed cotton sateen, and the design retains its original Impressionist feel and sense of fluidity and transparency. Linen – actual linen, not cotton, or other fabrics now referred to as “linen,” – has been the choice of royalty for centuries. 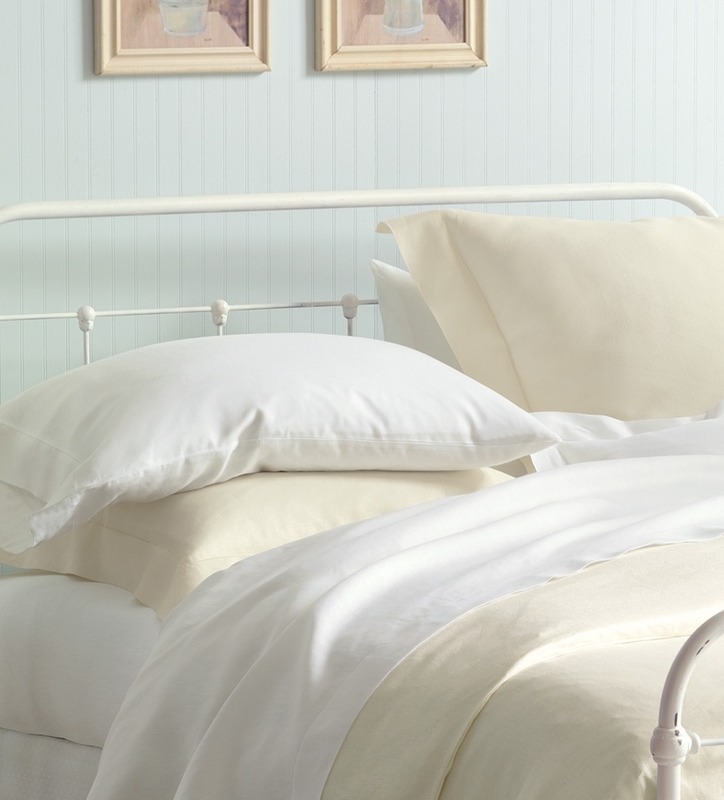 It might not always feel luxurious at the first touch, but linen features unmatched strength and a long staple; boasting great absorption properties, it stays cool to the touch. Nancy Koltes’ Linen Bruges collection, unlike anything else on the market, adds a crepe texture to subtly enhance both the look and feel of pure, Italian linen. This entry was posted on Thursday, April 7th, 2011 at 11:10 am	and is filed under Official Updates. You can follow any responses to this entry through the RSS 2.0 feed. You can leave a response, or trackback from your own site.